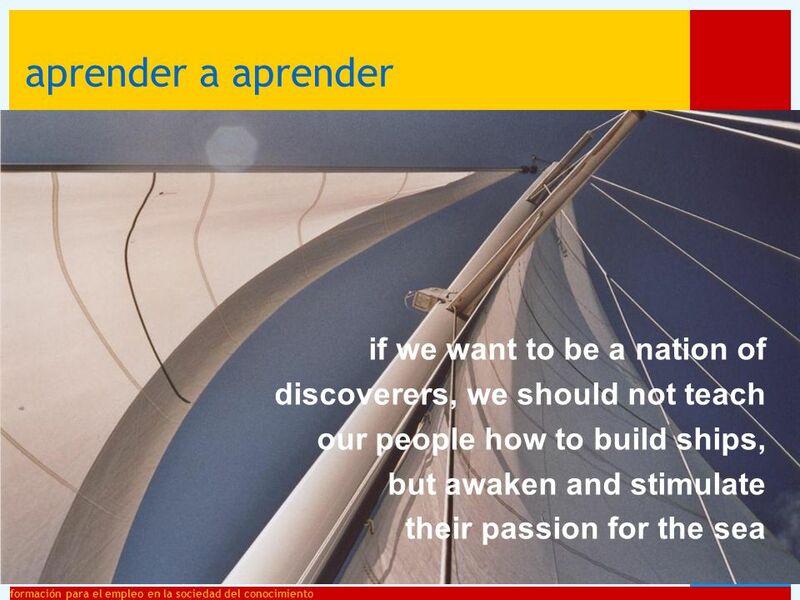 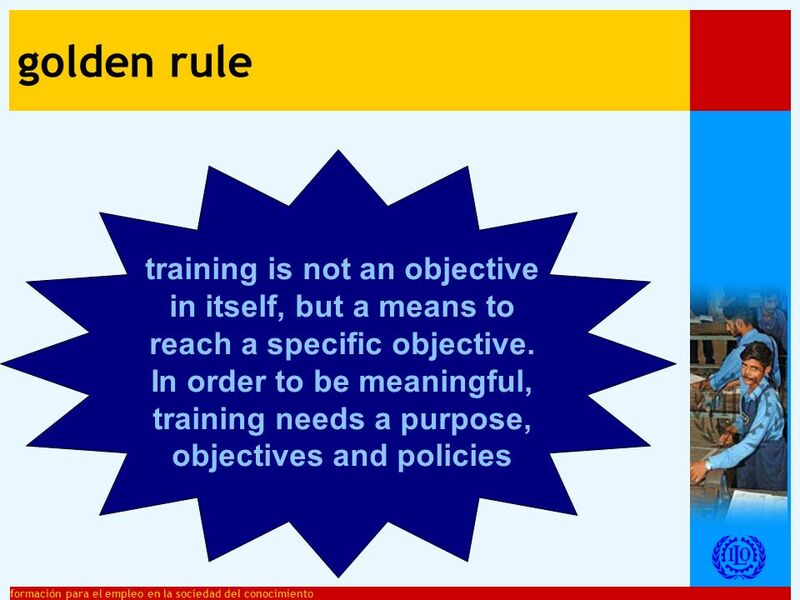 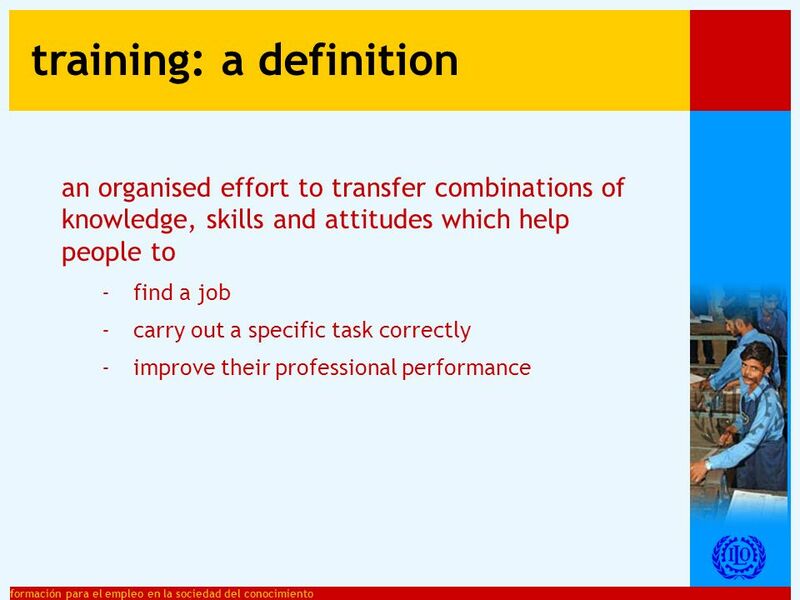 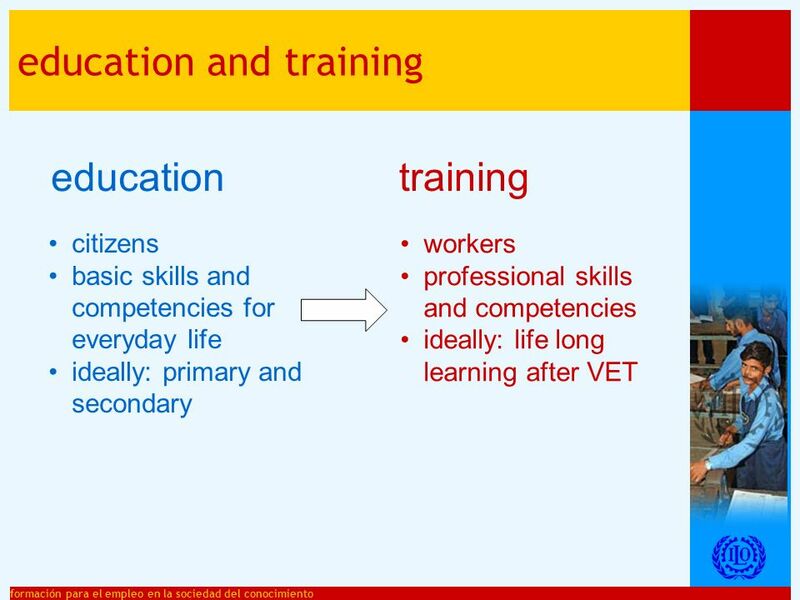 2 formación para el empleo en la sociedad del conocimiento … why should I waste my time with training? 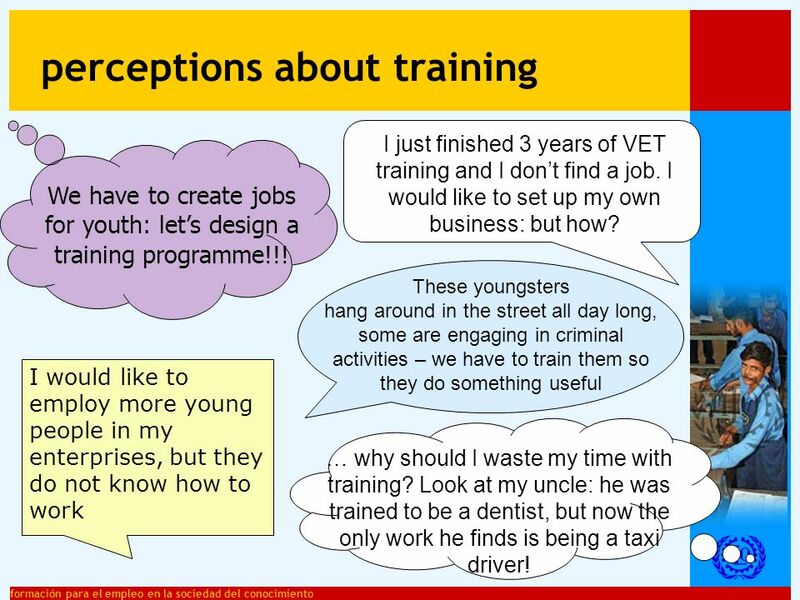 Look at my uncle: he was trained to be a dentist, but now the only work he finds is being a taxi driver! 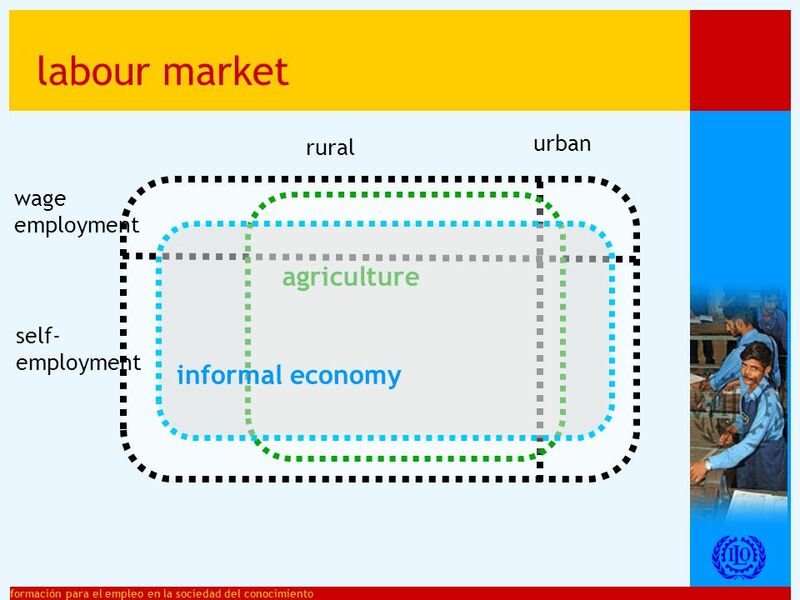 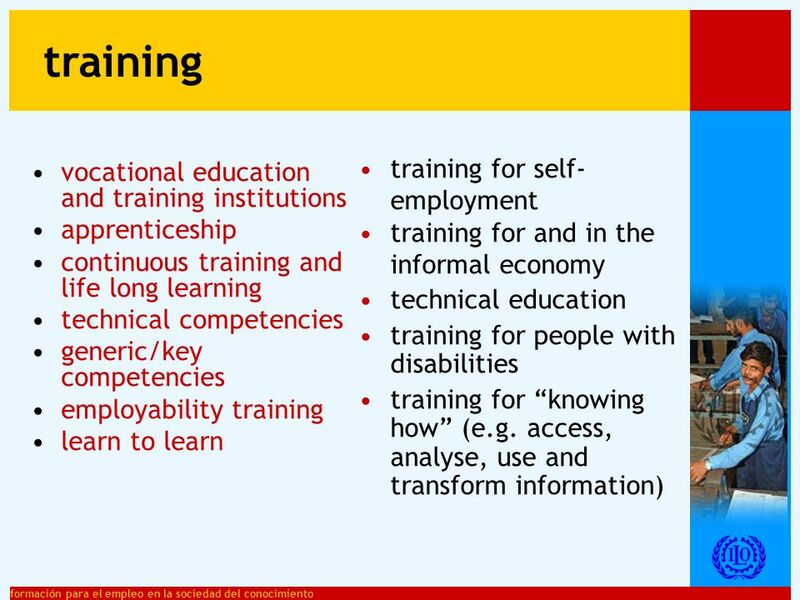 I would like to employ more young people in my enterprises, but they do not know how to work We have to create jobs for youth: lets design a training programme!!! 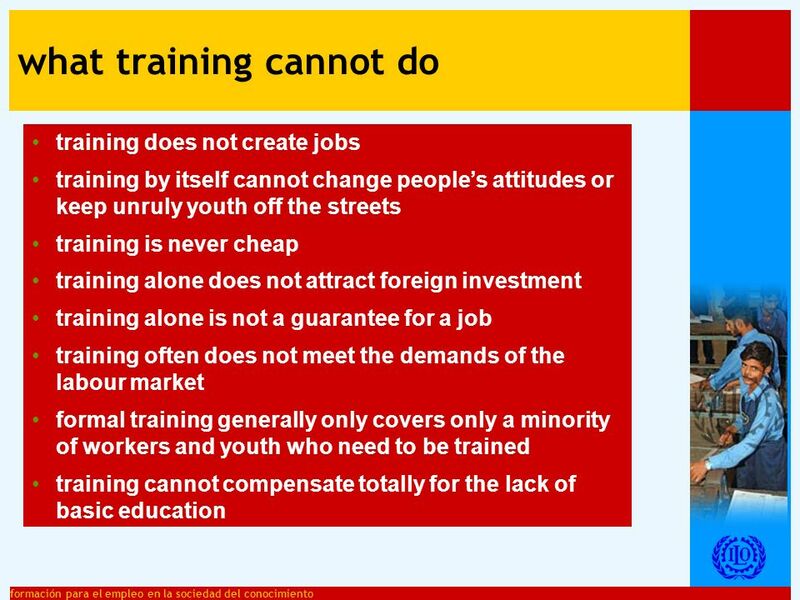 perceptions about training These youngsters hang around in the street all day long, some are engaging in criminal activities – we have to train them so they do something useful I just finished 3 years of VET training and I dont find a job. 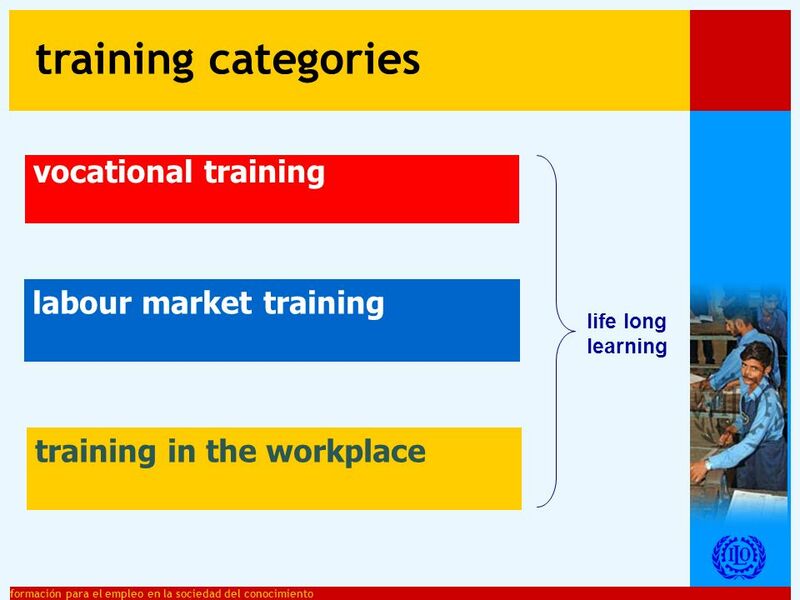 I would like to set up my own business: but how? 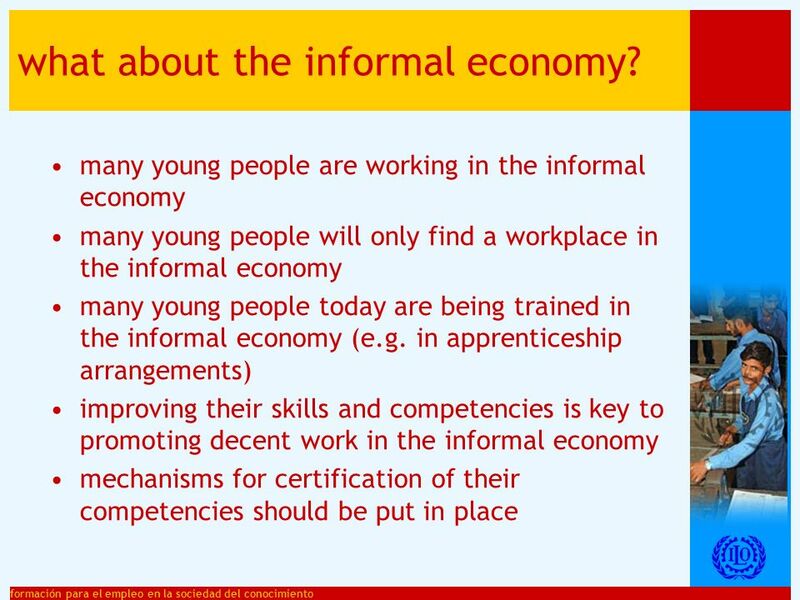 15 formación para el empleo en la sociedad del conocimiento informal economy underemployed managers the elderly rural population apprentices unemployed young people the self-employed women workers in a specific sector ICT employed persons men losers winners the poorest urban populations formal economy school-leavers basic questions: who? 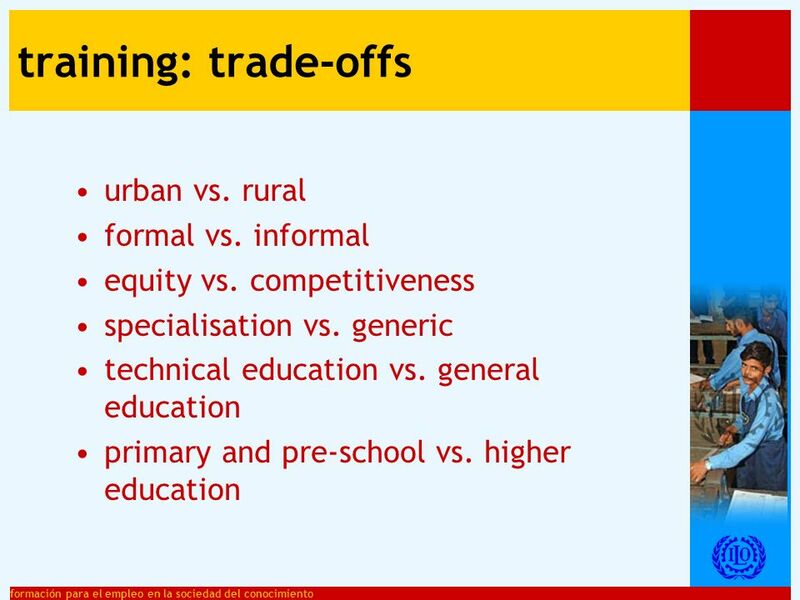 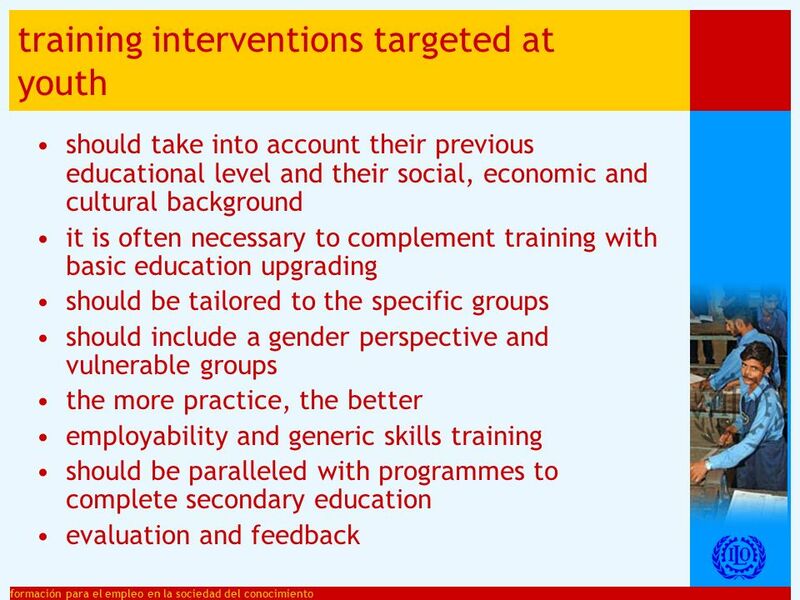 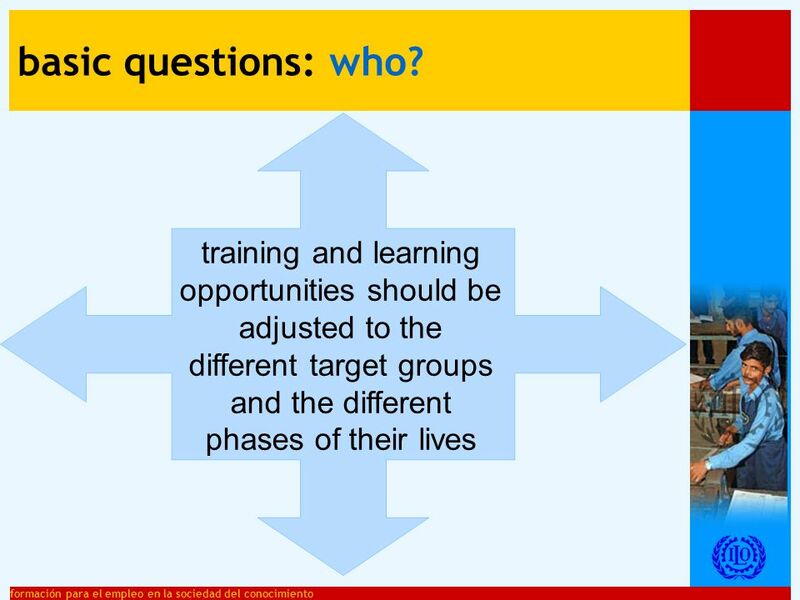 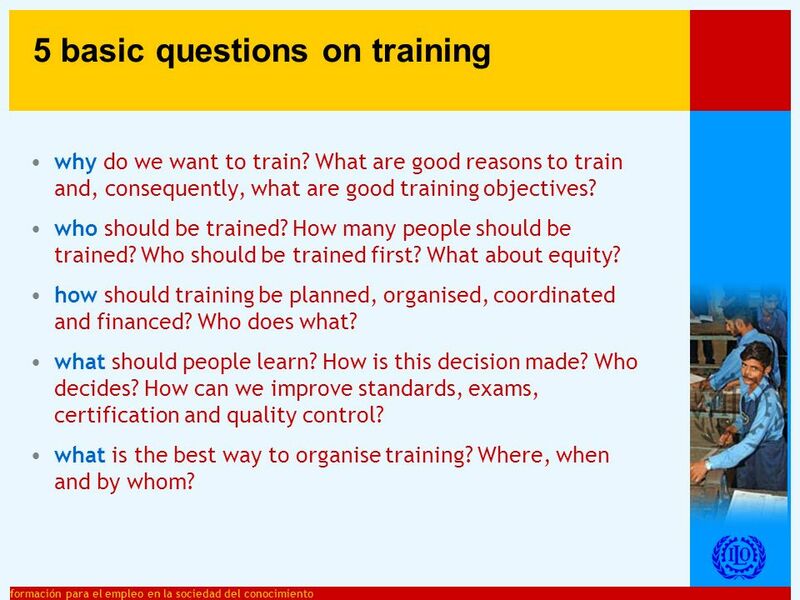 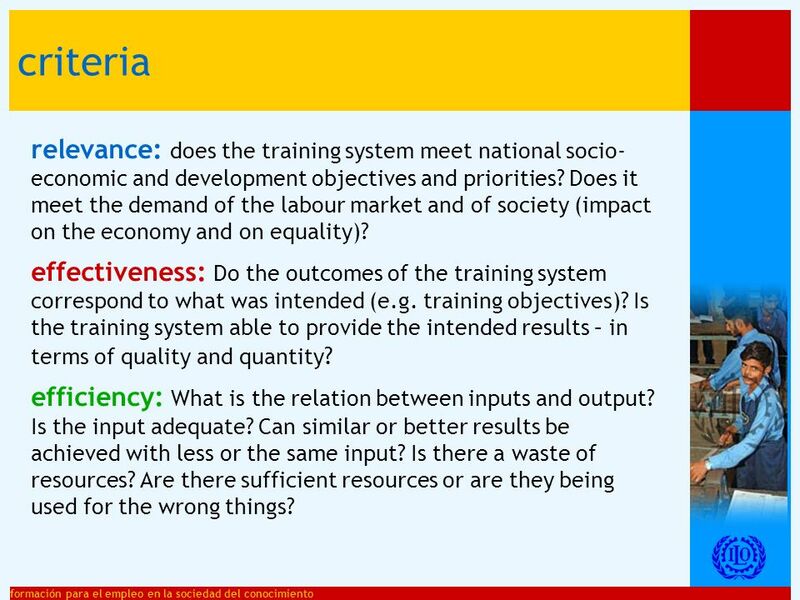 17 formación para el empleo en la sociedad del conocimiento training and learning opportunities should be adjusted to the different target groups and the different phases of their lives basic questions: who? 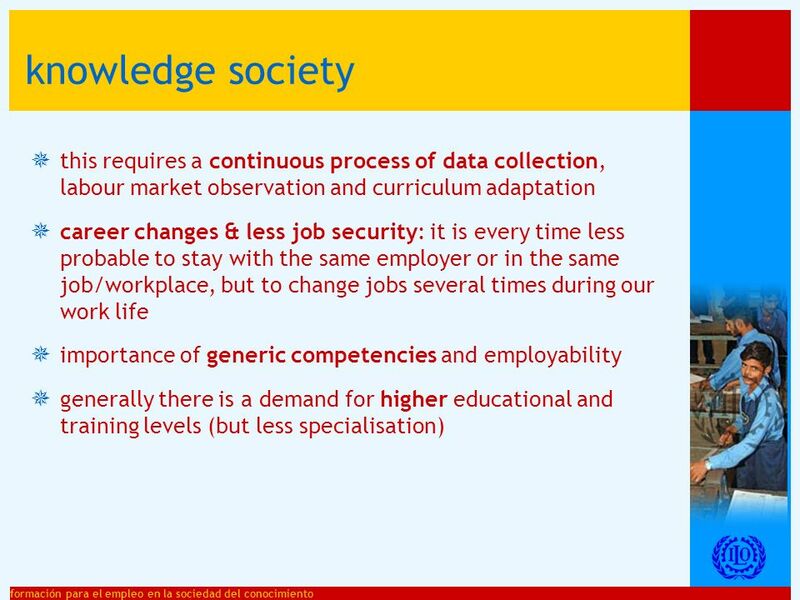 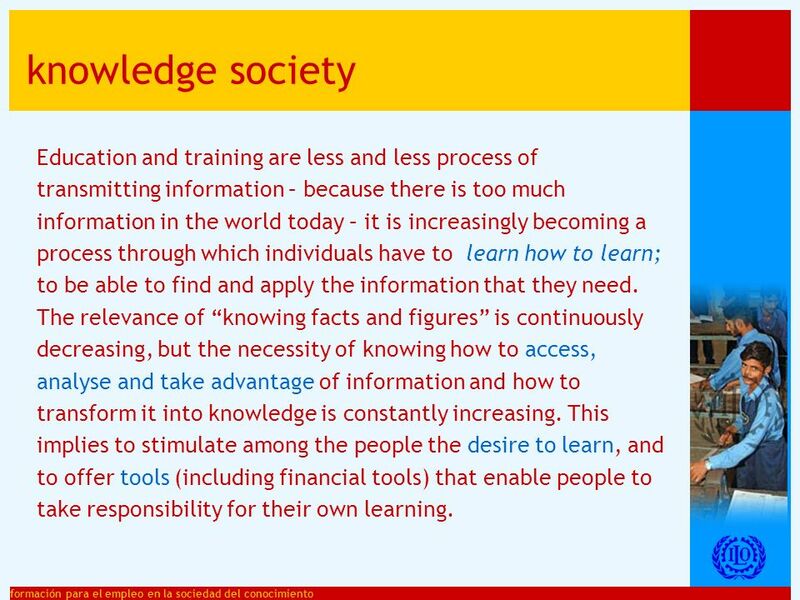 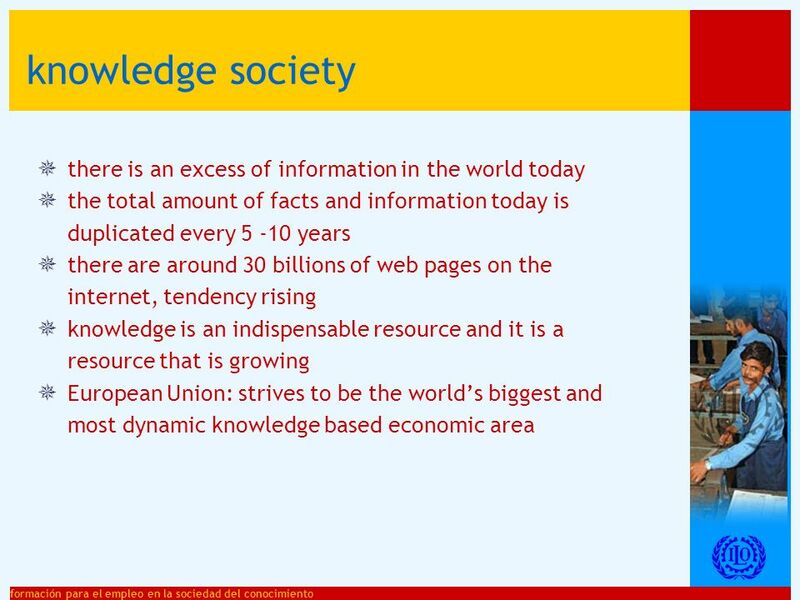 31 formación para el empleo en la sociedad del conocimiento knowledge society in the world of today knowledge plays a central role in the economic process: it has become a factor for competitiveness. 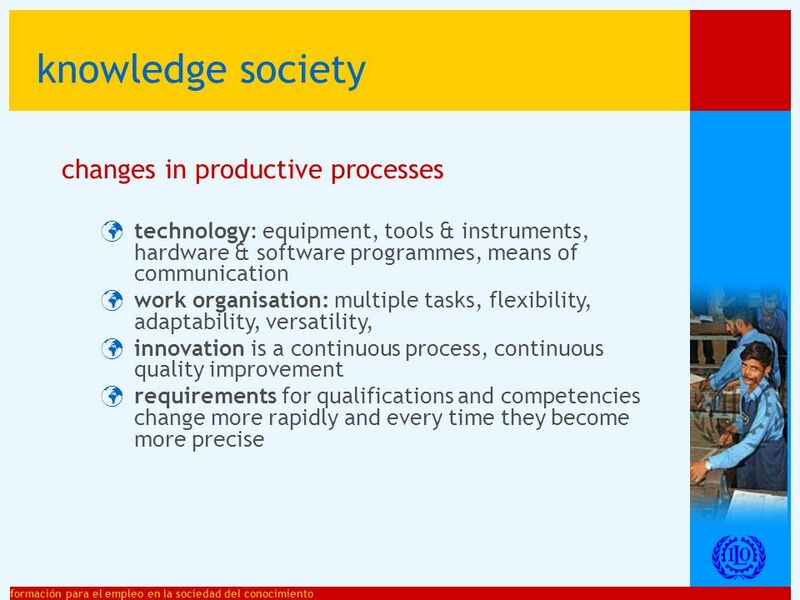 nowadays, knowledge is crucial for growth, productivity and job creation. 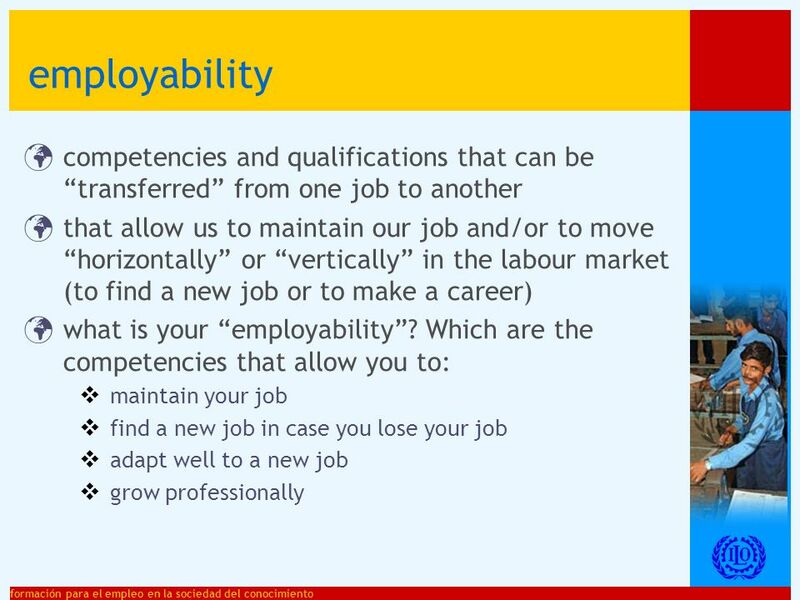 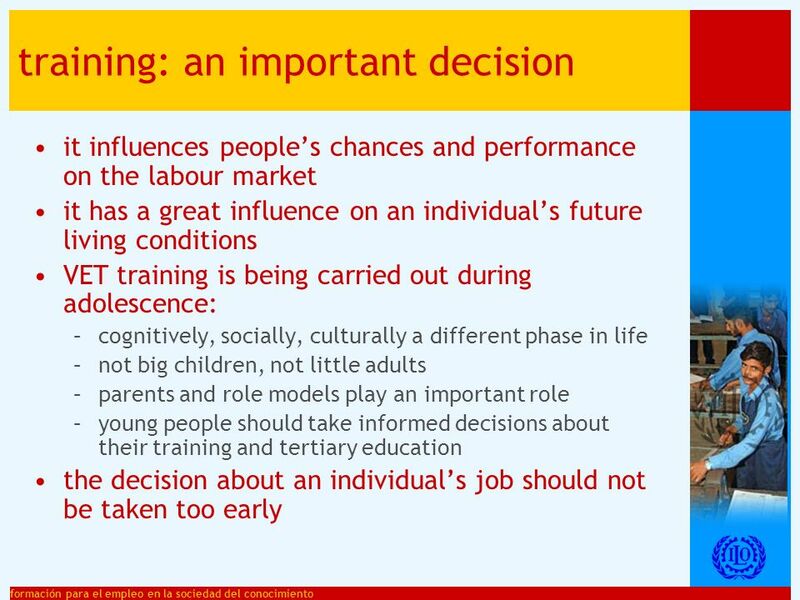 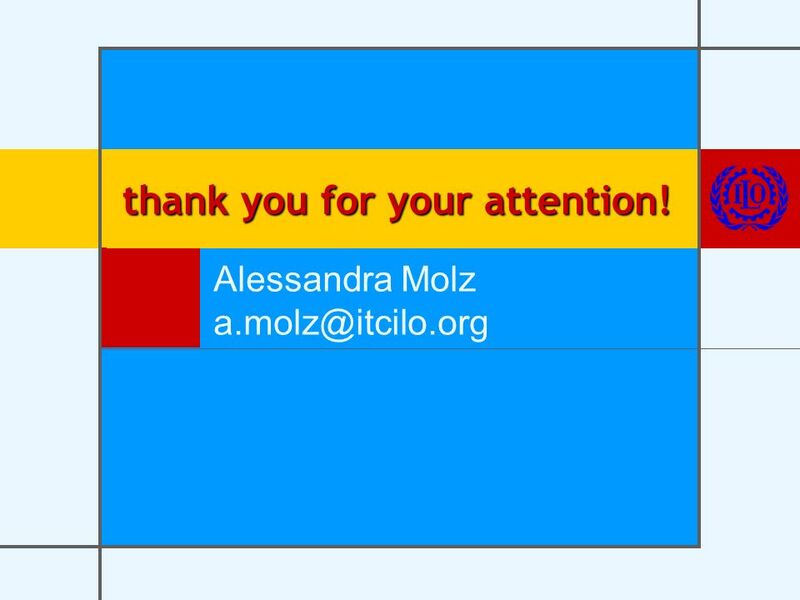 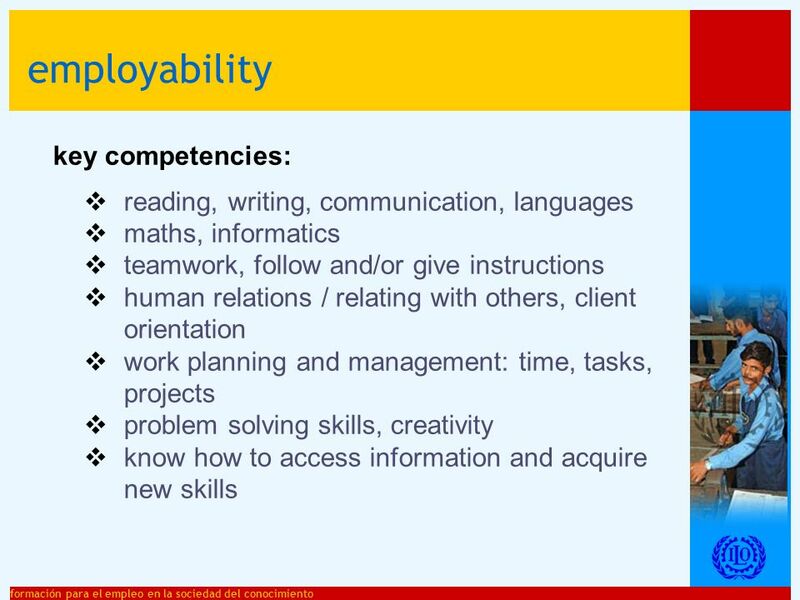 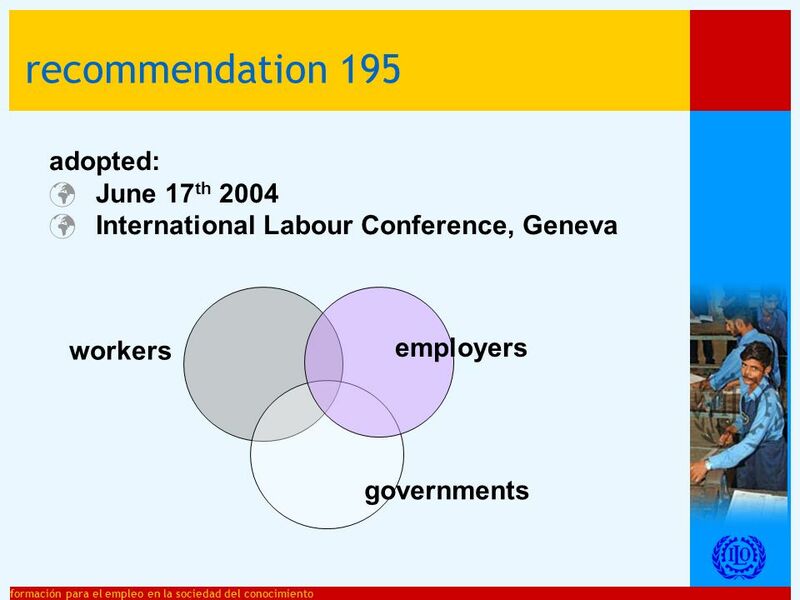 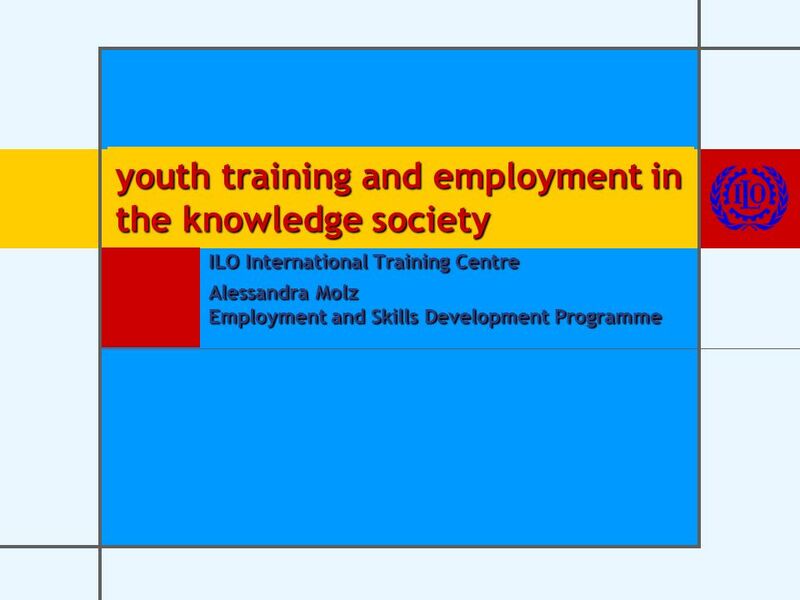 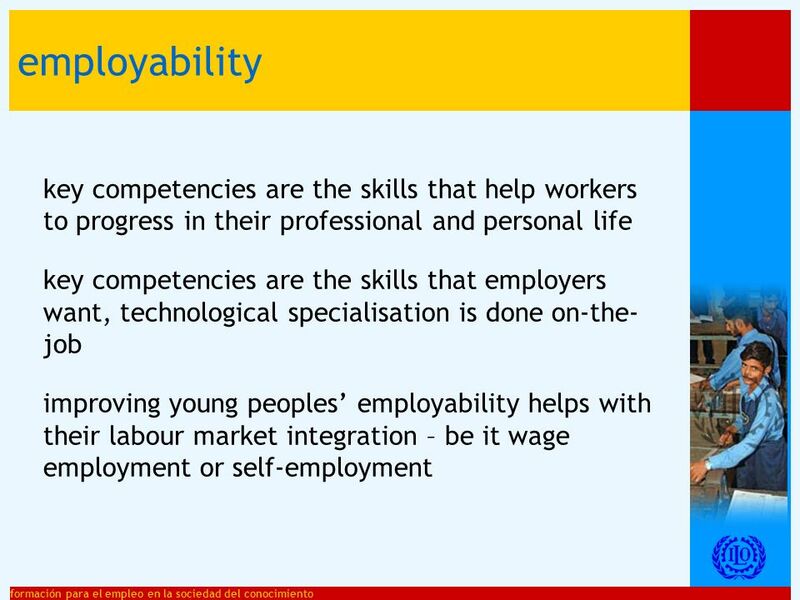 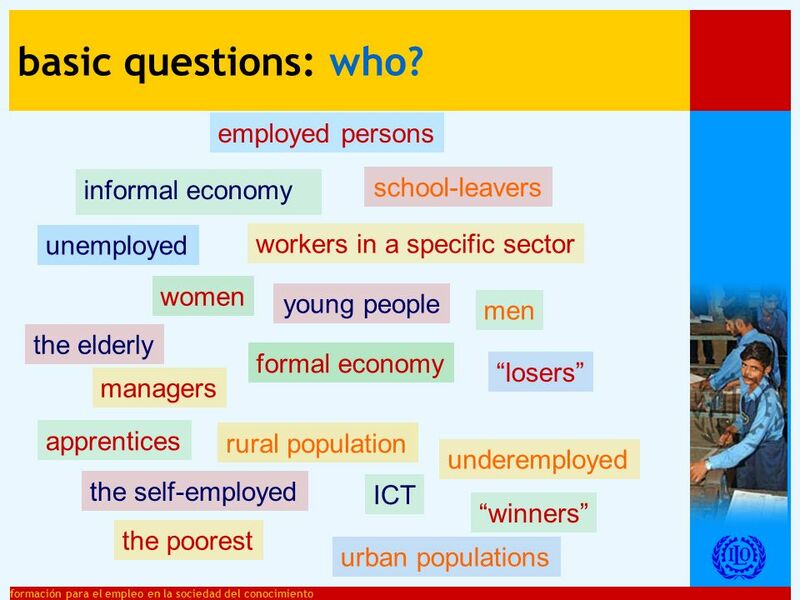 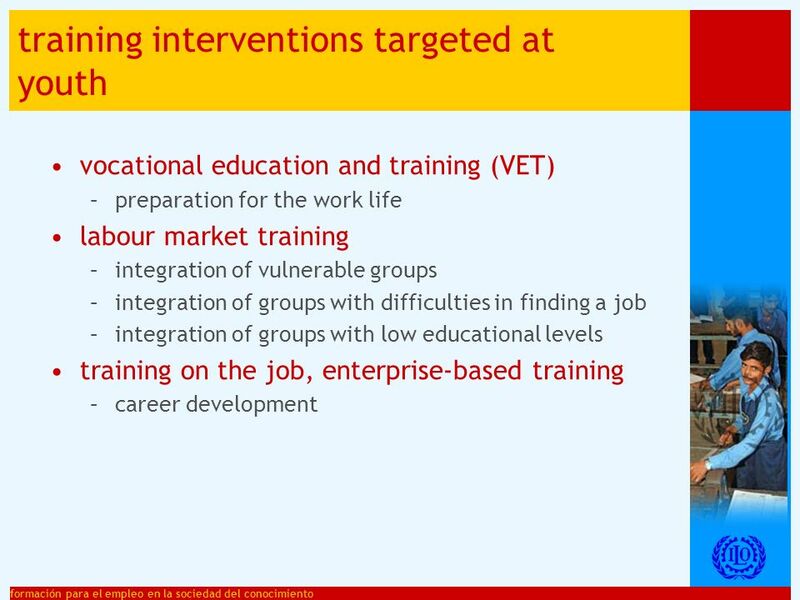 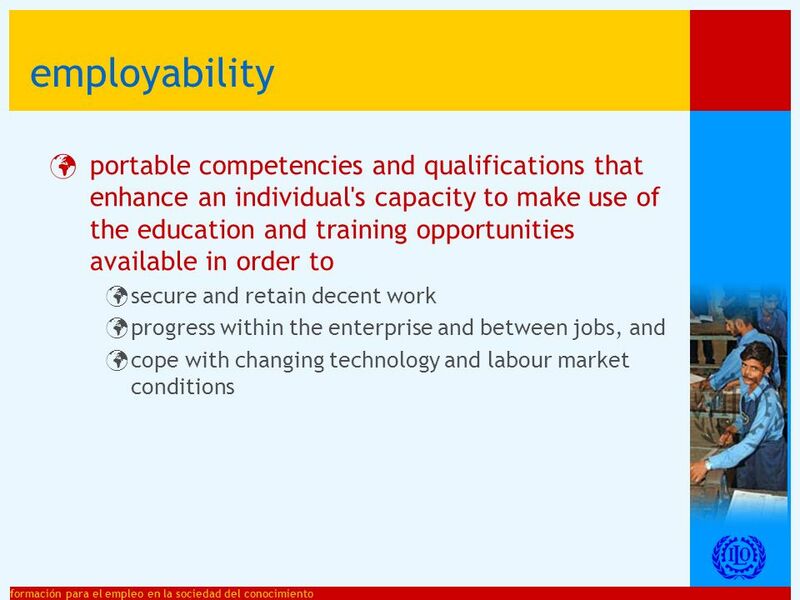 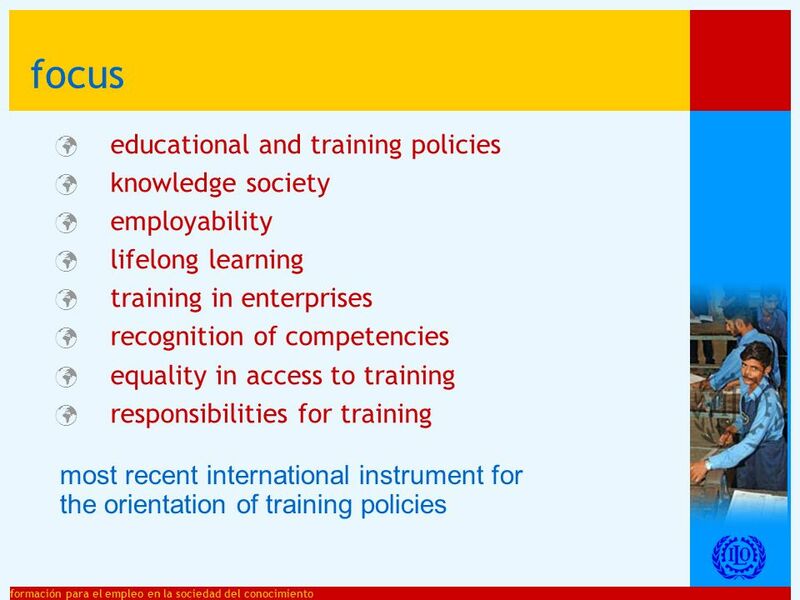 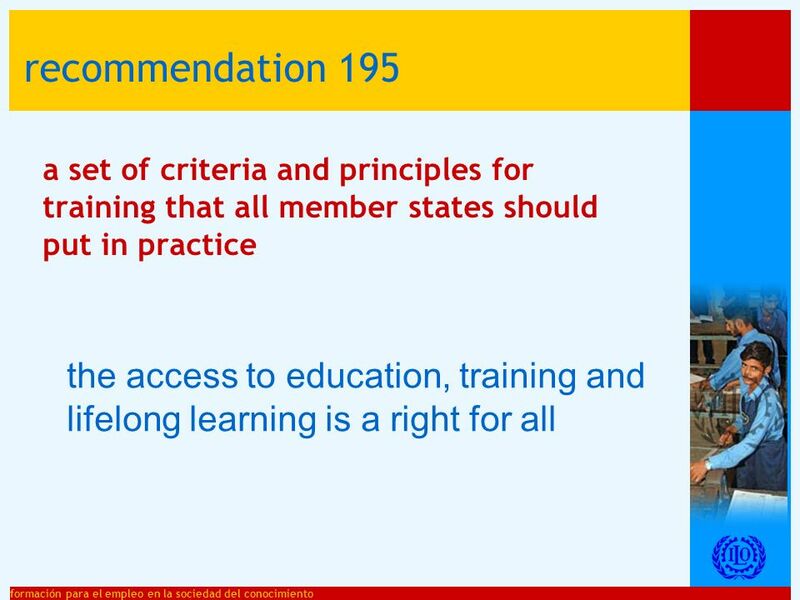 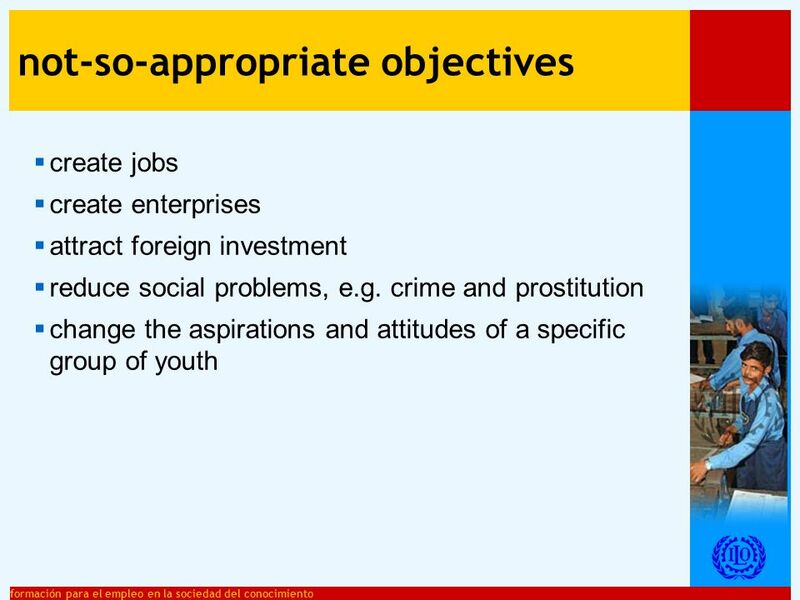 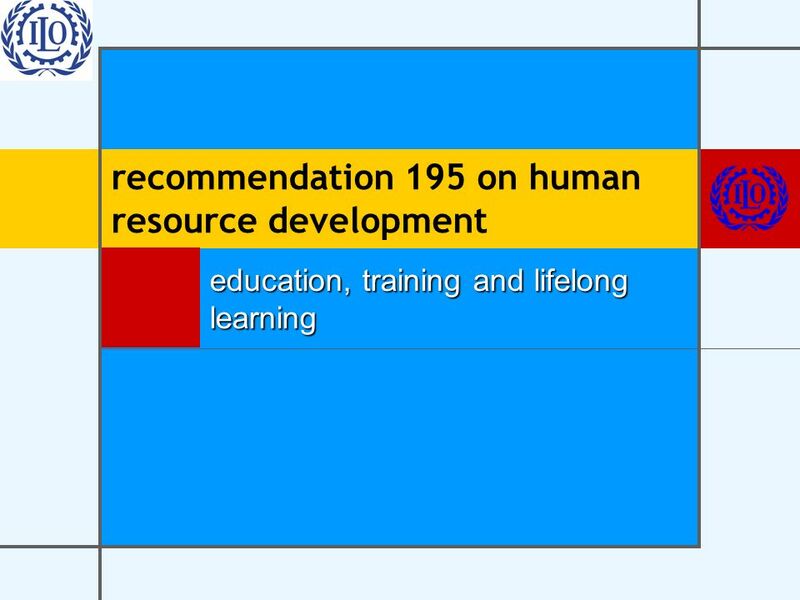 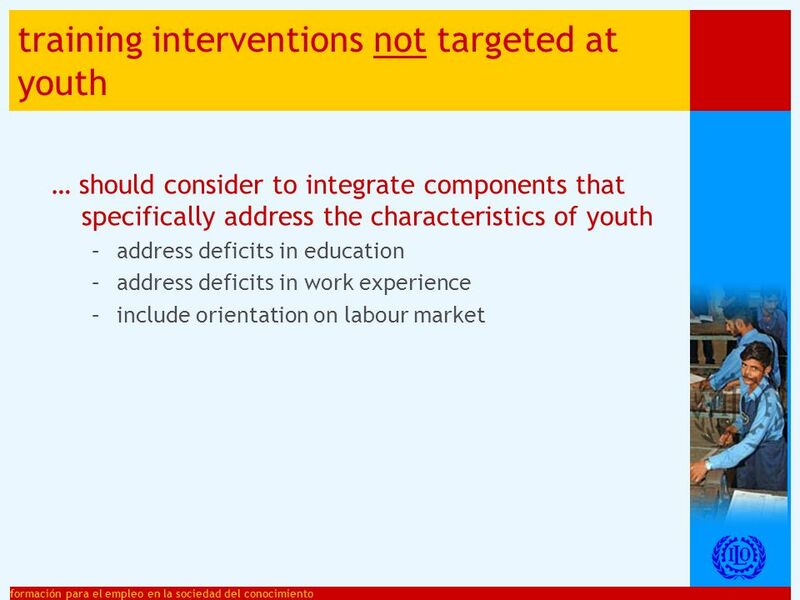 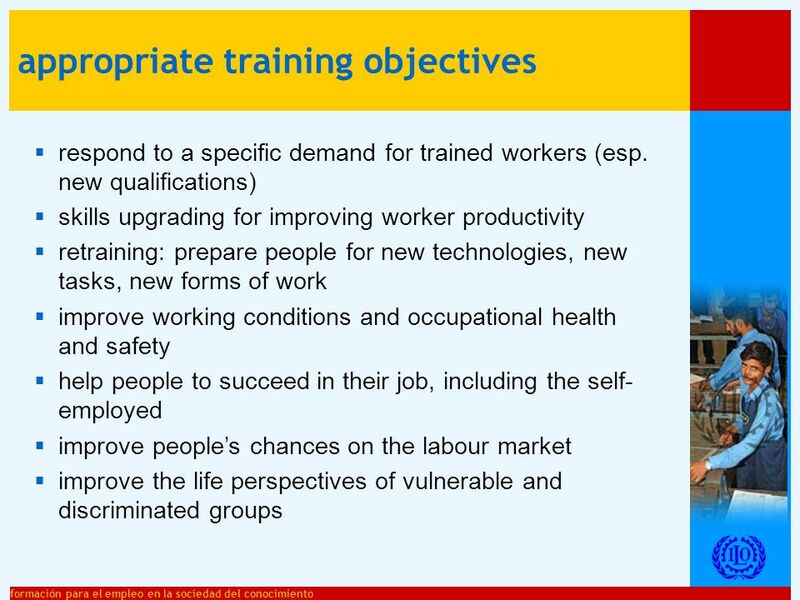 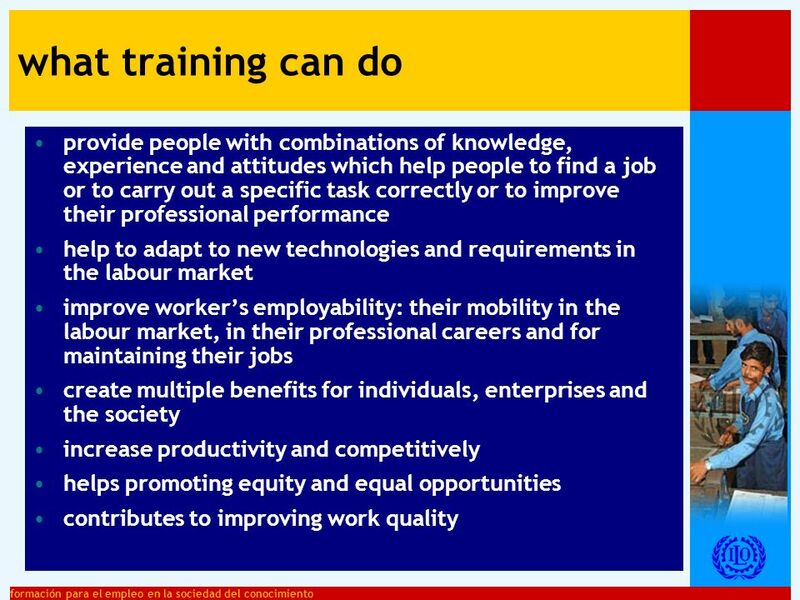 Descargar ppt "Youth training and employment in the knowledge society ILO International Training Centre Alessandra Molz Employment and Skills Development Programme."